I’ve been studying Japanese and Zen Buddhism on and of for some time. So, yesterday when I took a trip to the American Museum of Natural History, I found myself wanting to visit the Japanese section. If you’ve never been, I highly recommend it. What a beautiful spot. 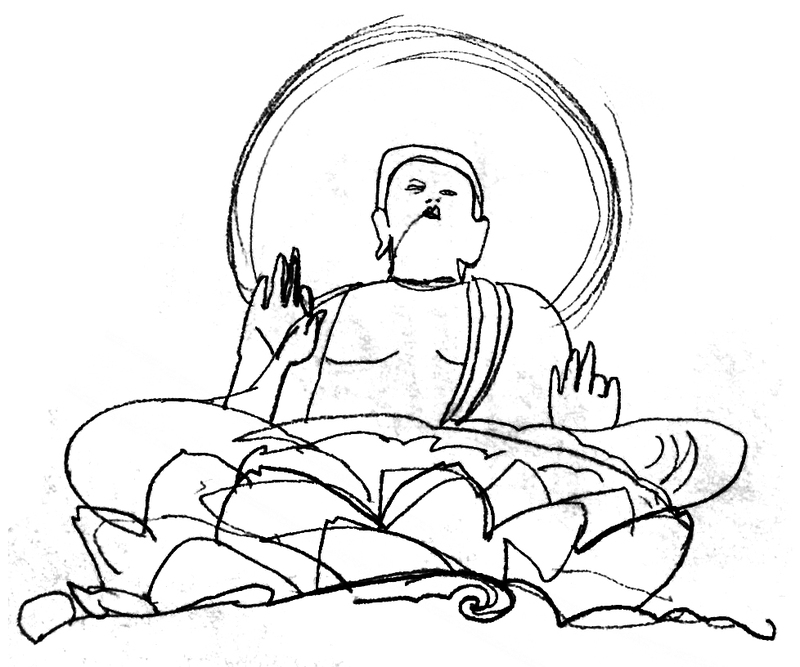 I sat down and made a few drawings of the extra large golden buddha sitting in an extra large golden lotus blossom.